Three people were airlifted to a hospital after suffering severe burns from the fire that started in Aubervilliers, a commune located in the northern part of Paris, around 8:30 p.m. Sunday, the Daily Mail reported. Six police officers suffered minor burns as they tried to evacuate the building. News.com.au reported that the staff stopped an attempted robbery when the suspected robber threw the bomb at the restaurant. Police have not released a motive for the crime and did not say if it was an attack. Fifty firefighters arrived on the scene with 15 trucks to fight the fire. 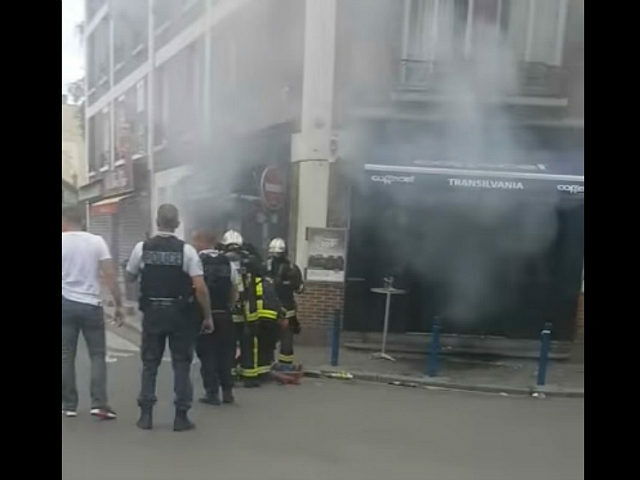 The incident took place the day of France’s parliamentary elections. France has spent 14 months under a state of emergency as a result of several terrorist attacks that ISIS and al-Qaeda have claimed responsibility for, France 24 reported. French President Emmanuel Macron, however, wants to end the state of emergency soon in favor of making some state of emergency powers, such as property searches without a warrant, part of common law. Police have not yet identified who is responsible for the attack and do not believe it is linked to terrorism.